In this postcard, Lillian from Cawker City, Kansas, sends regards to a friend, Mrs. H.L. Lomax in Lexington, Kentucky. 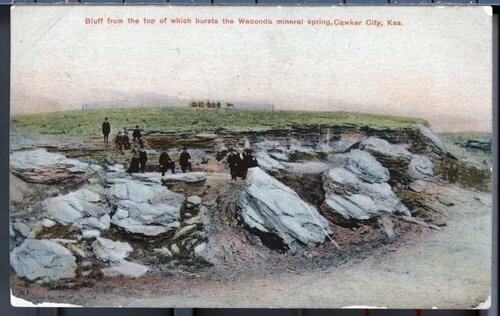 The postcard shows the Waconda mineral spring in Cawker City, a natural spring waters recognized as healing waters by the people who visited.